GRAFTON: June A. (Hall) Merrick of 63 Carroll Road in North Grafton passed away April 5 2019 at her home as she wished. June was born June 22, 1922 in Arlington, MA to Hjalmar and Martha (Haase) Hall. In her teens the family moved to Bellingham, where June graduated from high school in the class of 1940. After marriage and the birth of three sons, she returned to school to become an L.P.N. She worked in the Grafton and Westboro State Hospitals for 25 years. She retired to care for her husband Hal who suffered from A.L.S. He passed away in 1984. In her later years, June’s health and activities were complicated by breathing issues from smoking for many years. June was very active in the community, volunteering for organizations that help those who are not able to help themselves. She delivered Hot Meals for 30 years, drove friends and acquaintances to doctor’s appointments, hairdresser dates, or to shop for groceries. She continued these activities, driving her Honda, until shortly before her death. June volunteered as an Election Worker, for the Congregational Church, and Red Cross Blood Banks. She visited the Christopher House, Jeremiah House, and Veteran Shelter, often passing out her knit hats to help keep their clients warm in the winter. She made quilts for the Lynus project and Ronald McDonald House, and pillowcases for Kon Kerr. 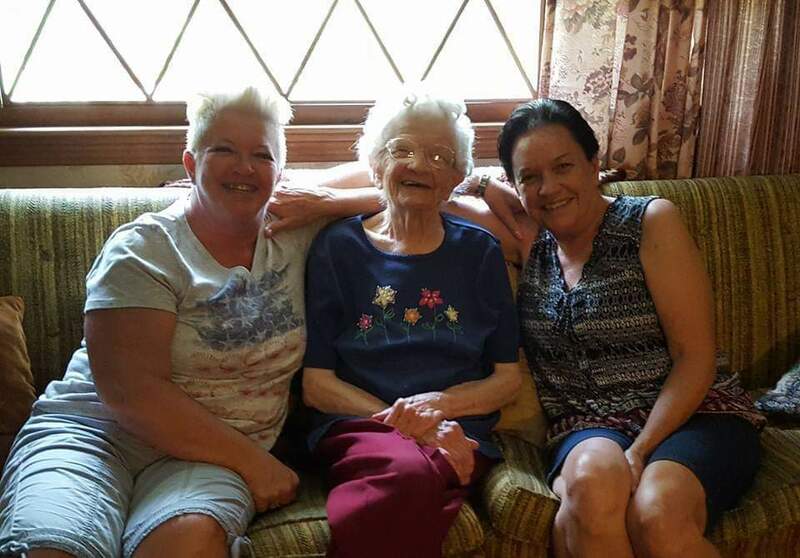 She was a founding and lifetime member of the Delisle-Goulet post of the American Legion’s Women’s Auxiliary, recently having been honored for her 61 years of service to veterans. In 1999, the city of Worcester honored June for her many hours of volunteering. In 2009 the Grafton Board of Selectmen honored her by declaring October 28th to be June Merrick Day. If you were out in the pouring rain that day, you may have noted the many signboards recognizing that honor. Also in 2009 June was honored by the Grafton Lions Club as their Humanitarian of the Year. She was very proud of these awards, but never sought recognition of her good deeds. In addition to her volunteer activities, June found time to bowl (35 years with the Grafton Women’s Candlepin League) or play Bingo, both local games and casino trips. She loved crossword or jig-saw puzzles, knitting and crocheting. Her sewing skills will be sorely missed by family and friends alike. She was an avid reader of non-fiction, and loved big band music, learning at an advanced age to play Glenn Miller CDs (little records) in her car. She and her husband followed local bands during the early days of their marriage, turning down the offer of a lift to Boston to the Cocoanut Grove on November 28, 1942. Besides her husband and parents, June was predeceased by her youngest son, Keith, in 2013. Also by her brothers, William and Richard, and her sister Martha. She is survived by her son Hal Merrick and his wife Pauline of Brookfield, her son Jeff with whom she lived and his long-time partner Shirley Wandland, her daughter-in-law Jane of New Jersey, and several grandchildren, great-grandchildren, and great-great-grandchildren, not to mention her many nieces and nephews with whom she was close. Services and burial after cremation will be private. For those who wish to make a donation in her name, please consider the Grafton Food Bank PO Box 324 Grafton, MA 01519 or the Veterans Inc. 69 Grove Street Worcester, MA 01605. .